This article first appeared in The Edge Financial Daily, on November 3, 2015. KUALA LUMPUR: Instacom Group Bhd has appointed Dr Yeoh Seong Mok as its joint chief executive officer (CEO), a title he will share with current CEO Anne Kung Soo Ching. 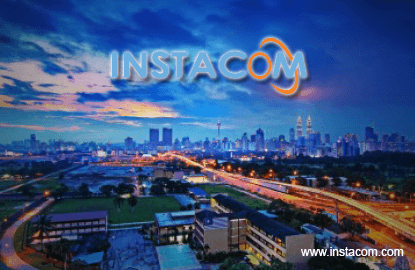 “Going forward, Kung and Yeoh will each focus on their business divisions independently in order to grow and build the company’s businesses strongly in their respective industries,” said Instacom in a statement yesterday. “Yeoh will spearhead Instacom’s new construction division, while Kung will continue overseeing Instacom’s traditional telecommunications division,” it added. In a filing with Bursa Malaysia yesterday, Instacom said Yeoh, 59, has more than 30 years of experience in managing projects and is a member of the Project Management Institute (PMI), USA. Yeoh has served in various positions, ranging from project manager to general manager in various private companies and public listed companies including Juma Construction Sdn Bhd, Astelle Construction Sdn Bhd and Sunway Construction Group Bhd. He was also the CEO for Pembinaan Aktif Gemilang Sdn Bhd, before leaving to join WY Consultancy and Development Services Sdn Bhd in 2012. Instacom said its order book currently stands at RM1.9 billion after having diversified into high-end aluminium manufacturing together with civil engineering and construction.